Advanced safety technologies such as ProPilot Assist and Safety Shield 360 with rear automatic braking are also available on the 2019 Altima. Nissan Canada has upped the price and technology of the Altima, and made all-wheel drive standard on the sedan for the 2019 model year as the automaker tries to woo young drivers. The base model Altima S will start at $29,793, shipping included. That’s $1,700 more than the outgoing 2018 model. The Altima will come in three trims — S, SV and Platinum, which tops out at $36,793. An additional 250 exclusive Altima Edition One editions, based on the Platinum trim, will also be available for $37,793. The Altima Edition One has 19-inch alloy wheels, Edition One floor mats, a rear spoiler, illuminated kick plates and an Edition One badge. The 2019 Nissan Altima is powered by a new 2.5-litre, four-cylinder engine, which is rated at 182 horsepower and 178 lb-ft of torque. 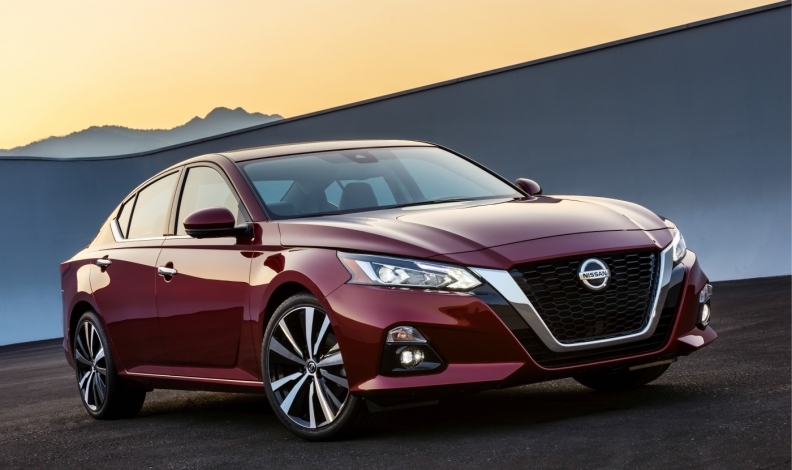 Altima sales are down 13.4 per cent to 4,323 units through August and the vehicle trails Sentra, Micra and Versa when it comes to the automaker’s car sales in Canada. Altima sales fell 14. 5 per cent in 2017. Amid Canadian and American consumers’ shift from the sedan segment, Nissan is trying to give them reason to reconsider cars. Apple CarPlay and Android Auto will be standard in every 2019 Altima. Bluetooth hands-free phone system, streaming audio, hands-free text messaging and Siri eyes-free voice recognition are also standard across the board. Advanced safety technologies such as ProPilot Assist and Safety Shield 360 with rear automatic braking are also available, depending on trim level. ProPilot Assist is standard on the SV and Platinum trim levels while Safety Shield 360 is standard on the SV trim. "People are looking for tech," Nissan North America Chairman Denis Le Vot said during an Automotive News interview earlier in September. "There used to be less tech in a … sedan. Now we're getting back with the most concentrated technology we've ever had." Le Vot acknowledged to Automotive News that sedan sales are shrinking, but he thinks they can rebound. "Market intelligence is telling us that Generation Z's favorite body style is sedans. The big wheel is turning." He said Nissan stands to increase conquest sales in sedans as other brands, including Ford, back away from the shrinking pool.